No, seriously. Well, sometimes. You can't deny that the Japanese has adopted and japanified a lot of western dishes such as the hamburger (no, seriously, what do they call a hamburger-with-buns in Japan? 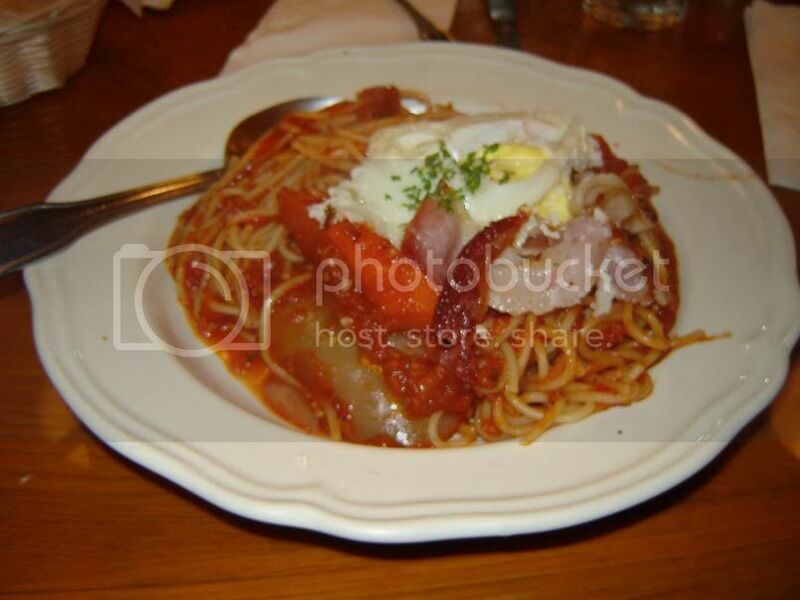 ), and spaghetti is no exception. Gardena is more of a korean town, but this little Japanese shop has been here for years. Apparently years ago it used to be a bakery also and sold pretty good bread and other baked goods. About two years ago they still had French bread but I didn't see any this time around. Now all they had are the cold dinner rolls that you probably just shouldn't eat. Unless you're really hungry. Spoon House serves mainly spaghetti, with a sprinkle of other items. Don't get me wrong, they also serve more traditional, Italian spaghetti. Here's the Barca D'Oro, which still looks like a normal, Italian spaghetti. Described as "Italian sauce with seafood." For some odd reason I was craving eggs so I ordered the Napolitano with bacon and eggs. Kinda weird for spaghetti, isn't it? We're getting there. But I enjoyed it a lot. And there are plenty of other unique, and definitely more Japanese spaghetti offered that we did not get this time around, such as Cod Roe and Sea Urchin spaghetti, Natto&Shiso (seriously? yep), Squid& Wasabi, and even kim chi. Unfortunately someone was eating the Barca D'Oro when we came and my friends decided that it looked really good, so that's what they got (so no picture of the more Japanese spaghettis this time). Spoon House does not serve the highest quality ingredients imaginable, but they definitely serve really yummy, cheap, comfort food. Everything I've had here (minus the dinner rolls) have been really good, and I keep coming back for more. 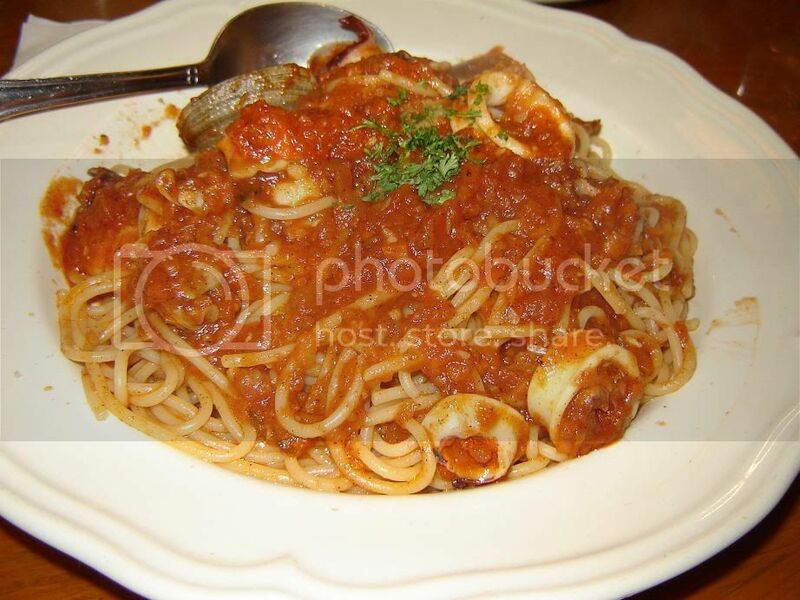 Each portion of spaghetti goes into each section for a specific time period. 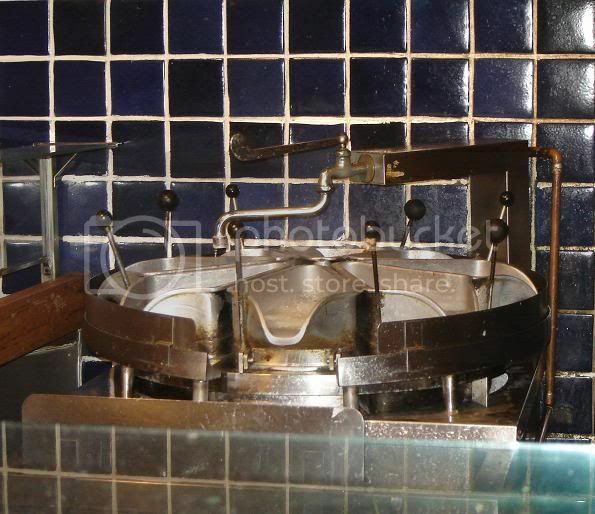 Pull the lever and the pasta will be drained and ready to be served. Neat. 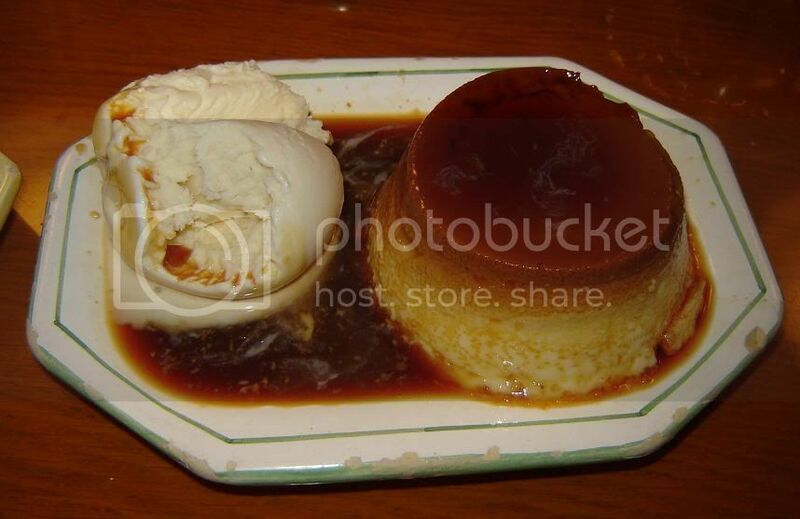 I was looking forward to dessert this time, since I remembered the flan being really good here. Indeed, it was one of the better flans I've had. The ice cream goes well with it, although I could go with or without it. 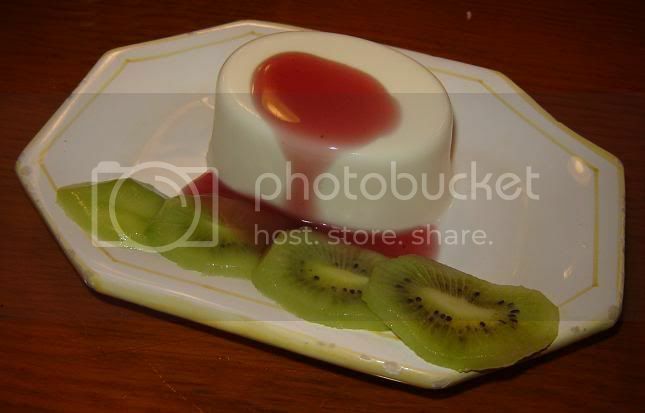 And we ordered some panna cotta too, don't know why. It was good, but not nearly as good as the flan. 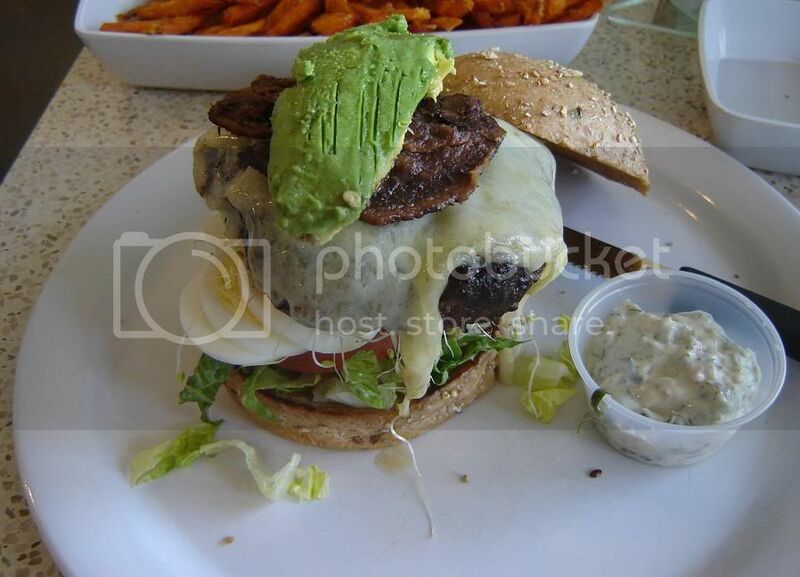 A friend of mine told me about The Counter a while back, where you can build your own burger and shake. 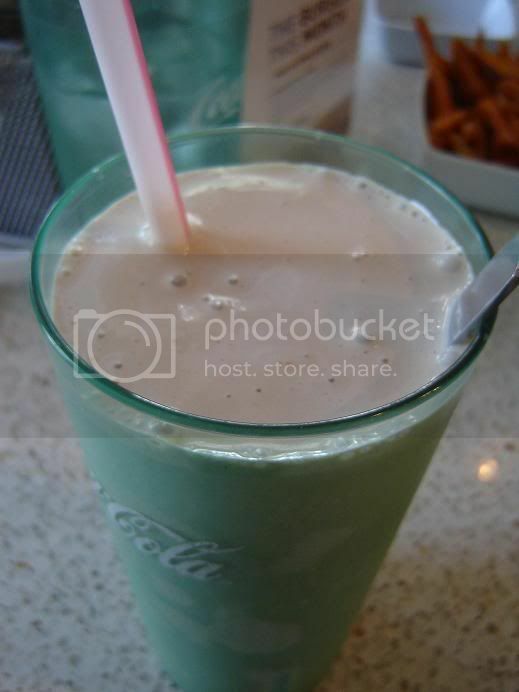 I never got to try it until yesterday, where I suddenly felt a craving for a nice burger and shake. 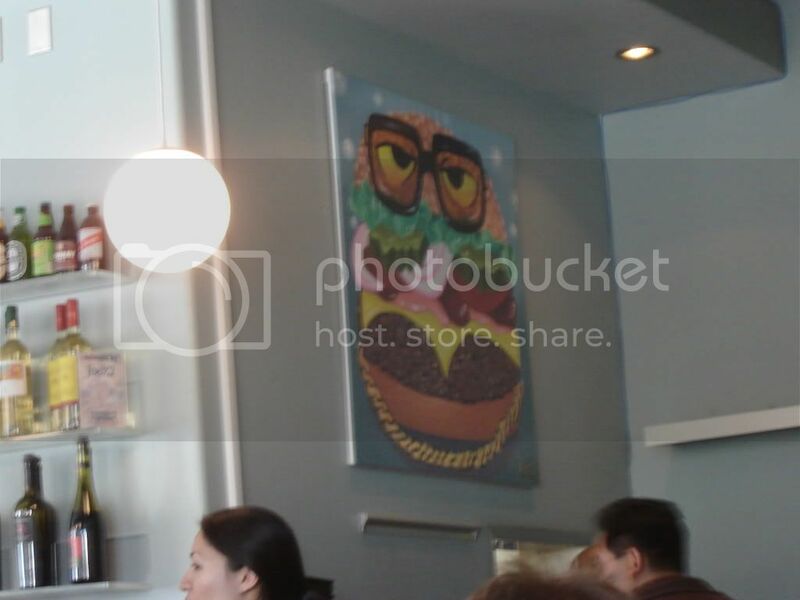 The Counter in Santa Monica has a clean, modern look to it, with lots of colorful and fun paintings on the wall. I like this burger painting they had at the corner. It was already 4 pm when we were having this "lunch", and since it seems like it was going to be the only meal of the day, I decided to go all out and ordered a chocolate banana malt. The malt took a while to be served, but it was definitely yummy. Thick and rich, at the bottom of the glass you will even find lumps of banana. 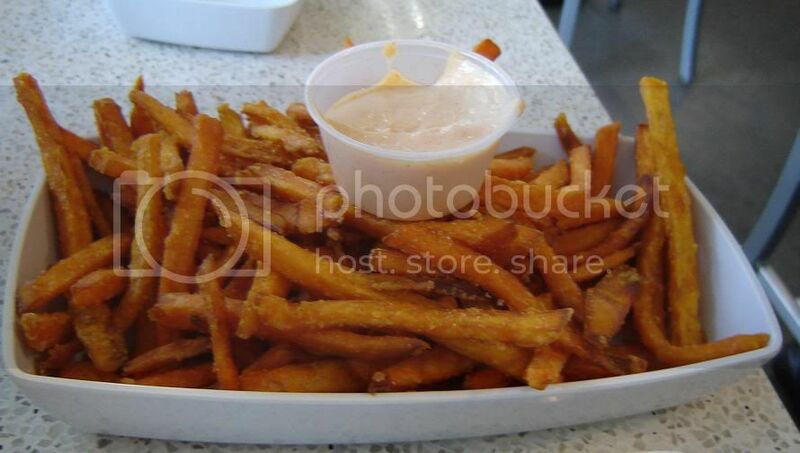 We also got a side of sweet potato fries, which were cooked just right - crispy but still moist inside, not burnt, and not overly greasy. It is served with a chili-mayo type sauce which was not at all spicy. I ordered the burger of the month: Crab Cioppino Burger. 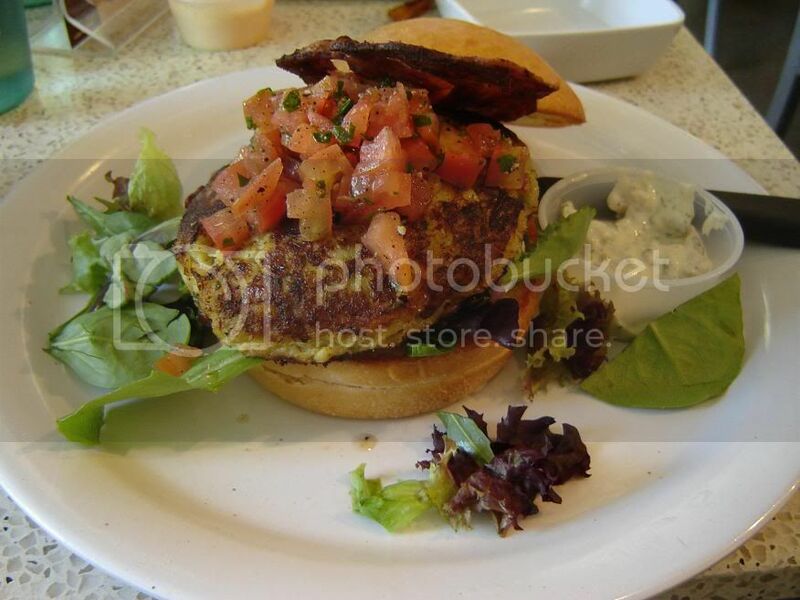 A moist crab cake seasoned with saffron, etc, served with baby greens, tomatoes, crispy pancetta on top, with lemon basil tartar sauce served on the sauce. Unfortunately the crab cake was so moist it is so easily breakable, even when you're only trying to bite into the burger. But no matter what, eating your burger here will be messy. Definitely had a hard time eating the crab cioppino burger while trying to keep it all together. The tartar sauce and the pancetta went nicely with the crab cake. We also got a BYO beef burger. This is a 2/3 lb beef burger, on honey wheat bun with gruyere cheese, crispy pancetta, avocado, hard boiled eggs, lettuce, and sprouts. We had gotten the sauce of the month which was the lemon basil tartar sauce but it didn't go nearly as well with beef as with the crab cake, so ketchup was better for this one instead. I think we both liked the beef burger better overall, although the crab cioppino burger was definitely good. Perhaps it was just getting all the toppings you wanted. But although stuffed, we were satisfied and would definitely come back for more. 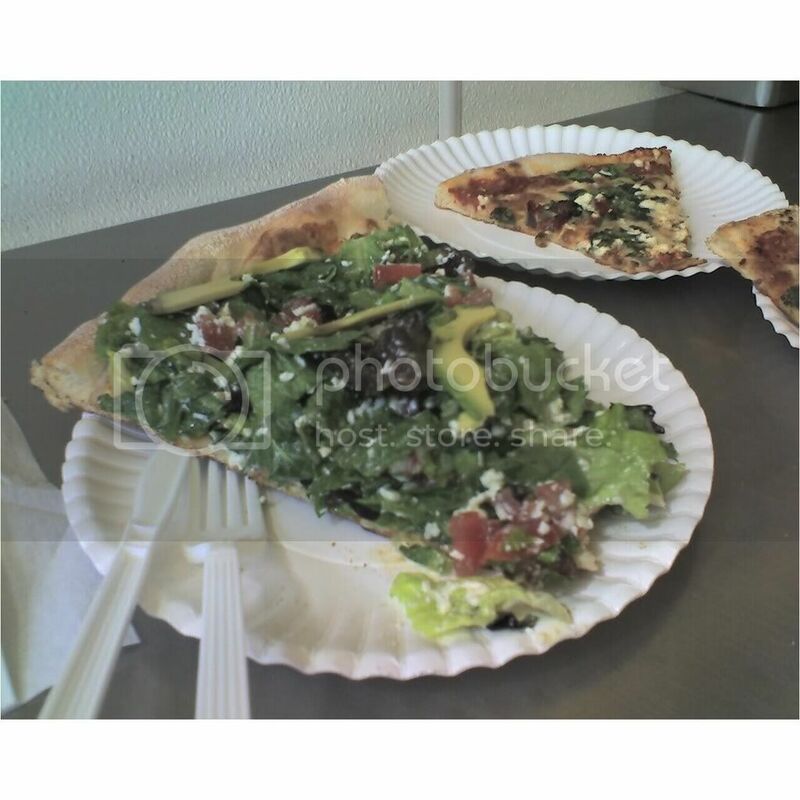 Abbot Kinney boulevard certainly offers a variety of excellent food establishments (others that have been reviewed here are Jin Patisserie, 3 Square Cafe), and luckily there are still cheap eats like Abbot's Pizza. I haven't come here much since I normally do not crave pizza, but that day we happened to park right in front of the shop, and we couldn't help but go in. The first thing that got our attention was the salad pizza. It was literally, like a salad on top of Abbot's bagel crust pizza, as you can see yourself. Lettuce, avocado, tomatoes, and sprinklings of blue cheese on top of a lightly cheesed pizza slice. And it was surprisingly tasty. Not to mention it's a lot healthier than most things you could eat. We really really liked this slice of pizza. 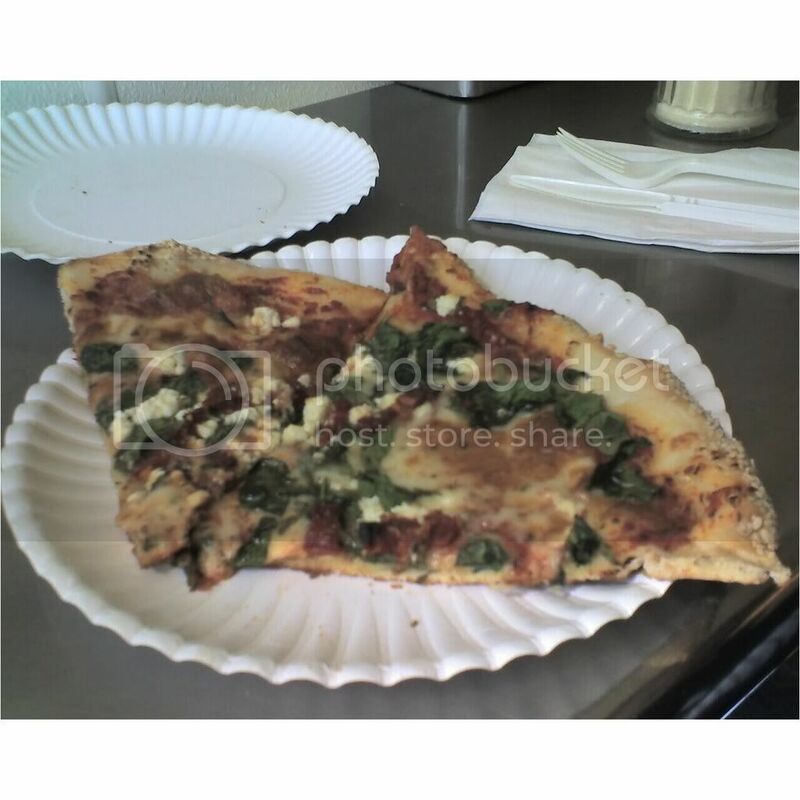 For the other slice we got tomato and basil. This too was good, although we preferred the salad pizza. They gave us 2 slices since they said these slices are smaller. All of these = $9! Quite a bargain if I may say so. With so many interesting options to try, and a good experience so far, I will definitely come back to try more. Or just get that salad pizza again. I ate tons of these while in Indonesia. What's left in this basket are only half of the original batch. And oh yes manggis have become expensive lately in Indonesia ... they're like about $3.5/kg now (about $1.80/pound). So feel free to eat 10 times more mangosteens than you would in LA. 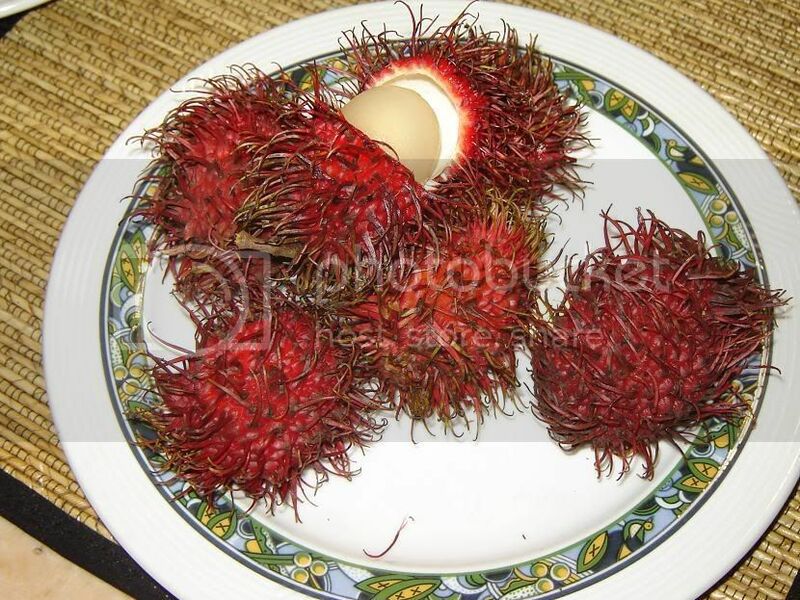 Not to mention they taste a looot better in this part of the world. I really don't know what this is called in English. Probably the same? "Rambut" means "hair" in Indonesian, I'm sure you can see why this fruit is called that. When it's just right, the inside is oh so juicy and sweet (the juice may very well drip on your fingers as you're eating). 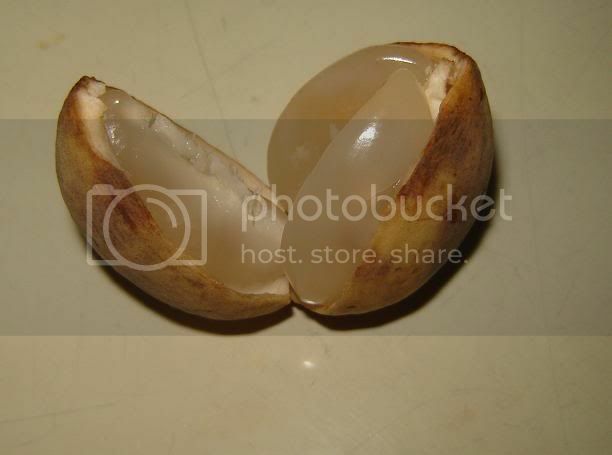 Be careful biting it, as the outer part of the seed sometimes get stuck to the meat, and it isn't that pleasant to eat. 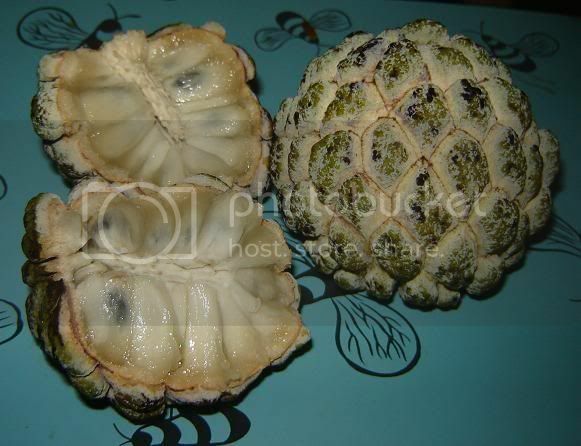 Again, don't know the english name, but the Latin is Annona squamosa. This fruit has lots and lots of seeds. Each white segment has its own seed. You can tell about how many will be in it from the bums on the skin outside. My cousin is too lazy to eat this because you have to continuously spit out the seeds. Fleshy and fibrous consistency. When it's ripe, the whole fruit is very tender. You can open the fruit by just gently pulling it apart. 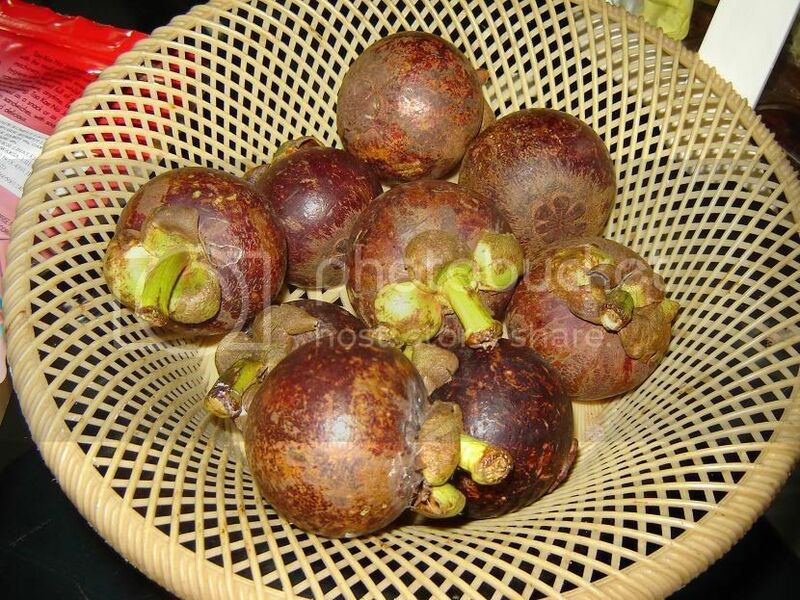 This fruit has a tougher outer layer, although the flesh is actually tender and sweet (although can be sour when not ripe), easy to bite. Luckily unlike srikaya it won't splatter if you drop it on the ground. Again, each segment has a seed. After a series of late-night K-drama marathons last year - which, for my own academic career, probably shouldn't happen too often - I started having intermittent cravings for jajangmyun, a.k.a. black bean noodles. Not to be confused with the chinese black bean noodles or cha jiang mien. 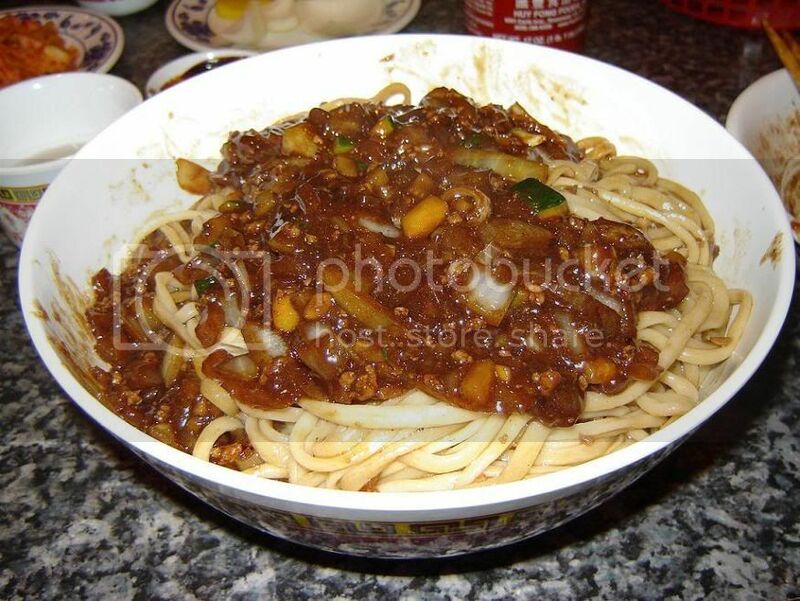 The korean one originated from the chinese black bean noodles, but is now quite different. I went to place that had really good jajangmyun before but I had forgotten the name and haven't been able to find it again! :( All I know is that the place was K-style chinese food, open 24 hours, in a strip mall where they also have a hopping nightclub of sorts ... Anyone has any idea? So in an attempt to find another good place, I went to try Mandarin House, which had pretty good jajangmyun reviews. They had the regular jajangmyun, with no meat, and they also had a meat sauce jajangmyun. I wanted some meat, so that's what I ordered. My friend who was there does not like to eat meat (except for kalbi, which she would eat a lot of :> ) ordered the regular. It seemed to me that the regular one that my friend got had more sauce and the sauce was thicker and blacker ... in other words, it looked better to me. Still, my jajangmyun was really pretty good, although I did want more sauce on it! Since the sauce is so good! So while the jajangmyun here is pretty good, it's still not perfect in my opinion. I'm still looking for one with great sauce and lots of it, and with substantial amount of meat, too! If anyone has any recommendation, please do let me know! While I was on the plane coming back from Indonesia I was lucky to find another cooking movie! 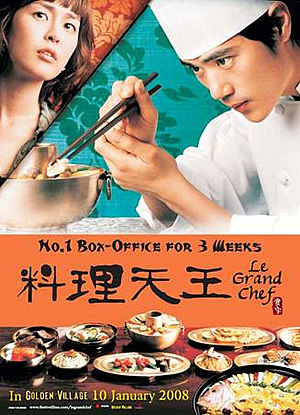 This time it's a Korean movie based on a comic book called "Le Grand Chef", directed by Jeon Yoon-soo. The story goes, there's a knife that used to belong to the last royal chef of korea. The royal chef cut off his hand with this knife so that he would not have to cook for the Japanese that had taken over. Now, the Japanese wants to return this knife to the Koreans and they are holding a cooking contest to determine the next owner of this knife. I don't want to give too much away, but it was a good and entertaining movie, so you guys go watch it!